Cooperation between the UK and India in areas of law and justice has been strengthened following a Memorandum of Understanding (MoU) signed this week. 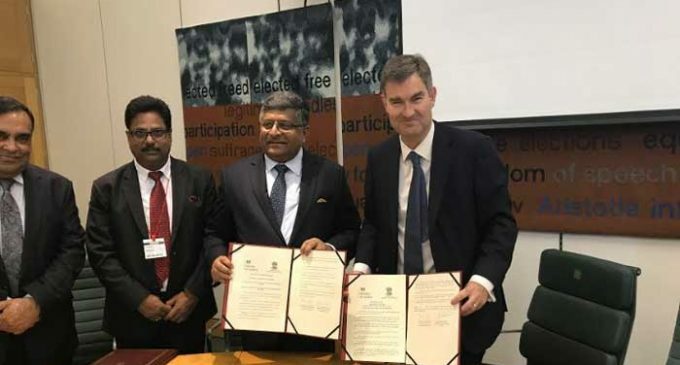 UK Justice Secretary David Gauke and Indian Minister of Law, Justice, Electronics and IT, Ravi Shankar Prasad, met in London to further strengthen bilateral working. The MoU will enhance engagement between the two countries and pave the way for greater collaboration and exchange of expertise across areas including Rule of Law, dispute resolution, training, and legal services regulation. Both sides also agreed to closer cooperation between the members of legal professionals of the two countries and the formation of a joint consultative committee. “With our shared Common Law heritage, values, and close links between legal professions, there is huge potential for further UK-India collaboration across a wide range of areas.